If you’re a Western guest who has never attended an Asian wedding before, knowing what to wear can be a real dilemma. On the one hand, you might want to really embrace your friend’s culture and dress for the occasion, but on the other, you might not be sure if it’s appropriate. And even if you do decide to dress in a more traditional Asian outfit, it’s such a minefield that you likely won’t even know where to begin. 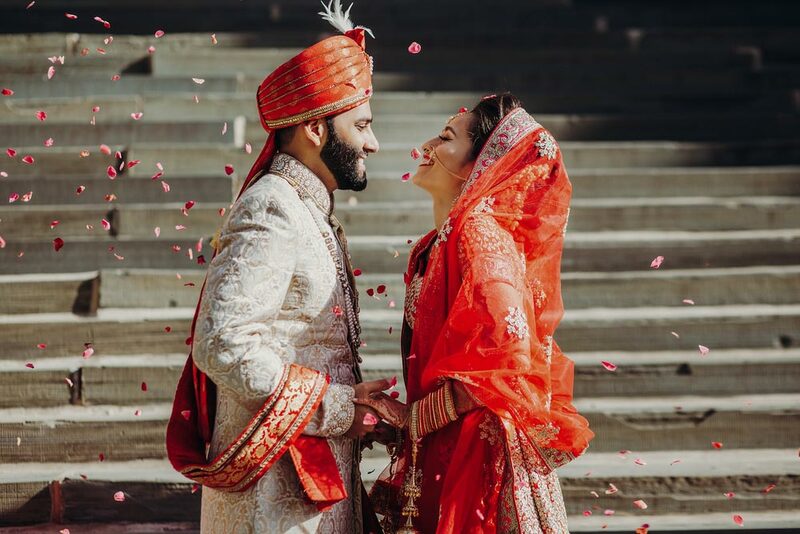 We asked Sonas Couture, an Asian wedding outfit store for their advice and they said: “Firstly, unless the couple themselves have any preferences, there are no strict rules on what you can and can’t wear to an Asian wedding. With that in mind, we’re going to run through some of the different styles of Asian wedding dress that you might want to try. They’re usually paired with an Anarkali dress, a long dress which flares at the waist and is often heavily panelled. Churidar suits are among the easier Asian wedding outfits to wear, so probably quite a safe bet if it’s your first time. You can even choose to just wear the dress or tunic with a pair of jeans if you’d rather. The suit will also usually be worn with a dupatta, which is a shawl-like scarf which is worn around either over one shoulder or across the back. Similar to a churidar suit, an Asian trouser suit consists of slim trousers paired with a tunic, mini dress or kameez (another style of dress), again worn with a dupatta. The great thing about a trouser suit is that it’s the perfect blend of Eastern and Western cultures, which is ideal if you want to make a bit of an effort, but don’t feel comfortable going all out on your outfit. Probably the item of clothing that you’re most likely to be familiar with, the saree is an iconic piece of Indian fashion which is a drape that is worn around the waist, with one end draped over the shoulder, baring the midriff. They’re usually worn with a cropped top, called a choli and come in all manner of wonderful colours and designs. There are many different ways to drape and pleat a sari, which you’re probably pretty unfamiliar with. Ideally, you’ll be able to get a fellow wedding guest to show you how to properly put it on, but if you want to try it for yourself there are plenty of videos and guides on the web, such as this one from ThoughtCo. Hopefully, this has given you a good starting point for planning your outfit for the wedding and given you a better idea of what to expect. For some more tips on the general etiquette when attending a South Asian wedding, check out this post from Confetti.